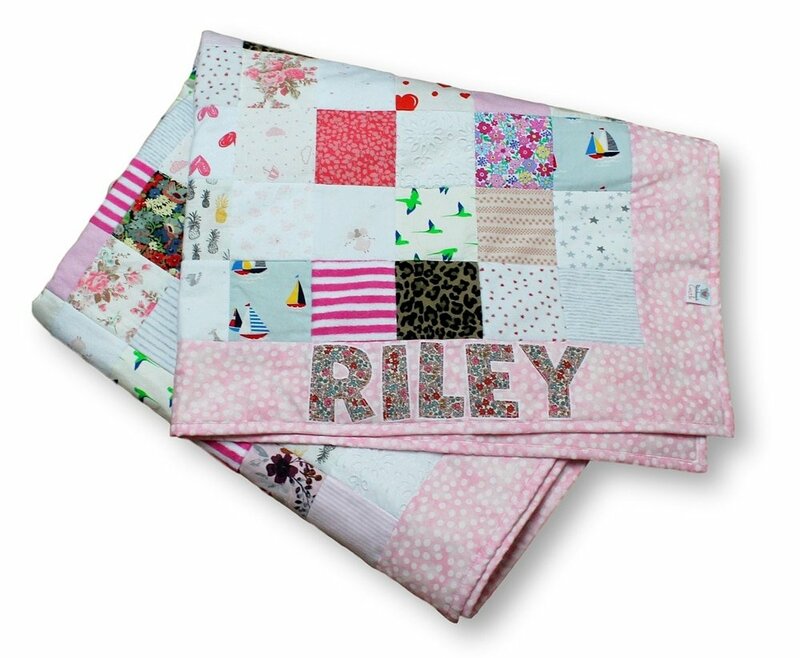 Create a hug-able keepsake quilt from those baby clothes that evoke memories of special times. 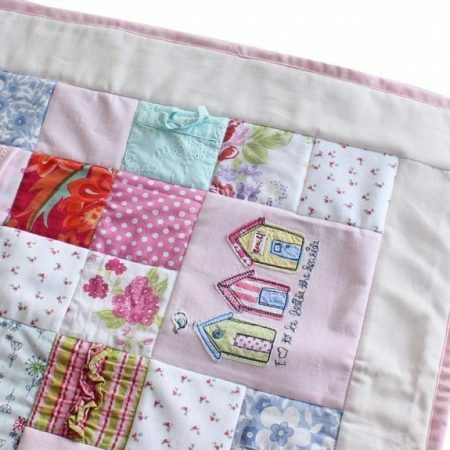 Preserve all those precious details from your treasured clothes in a truly gorgeous memory quilt. 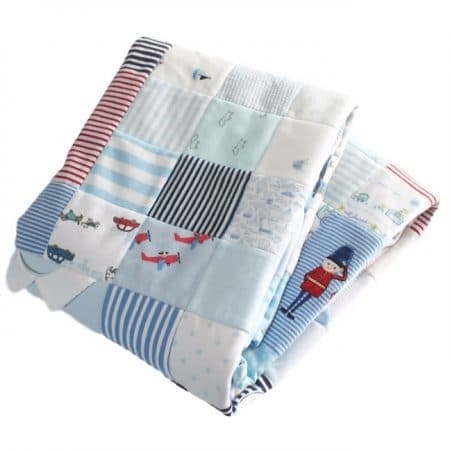 Our Baby Clothes Memory Quilts are traditional patchwork quilts, which can also be used as blankets. 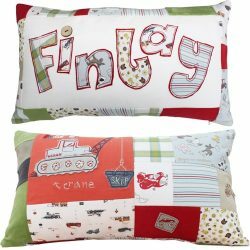 Imagine those precious memories wrapped around you, or laid over the end of your child’s bed. Suitable for covering a single bed with a short drop on each side. 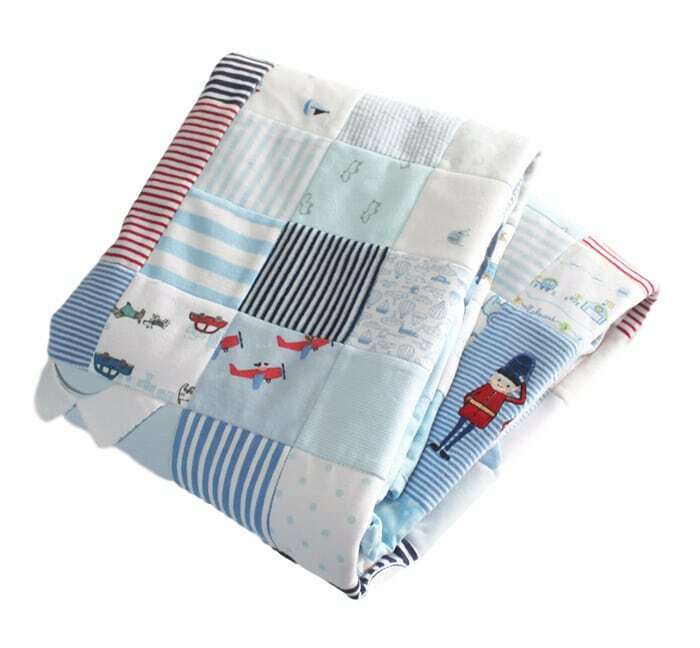 An extremely versatile size suitable for use on different sized beds or as a generous lap quilt. 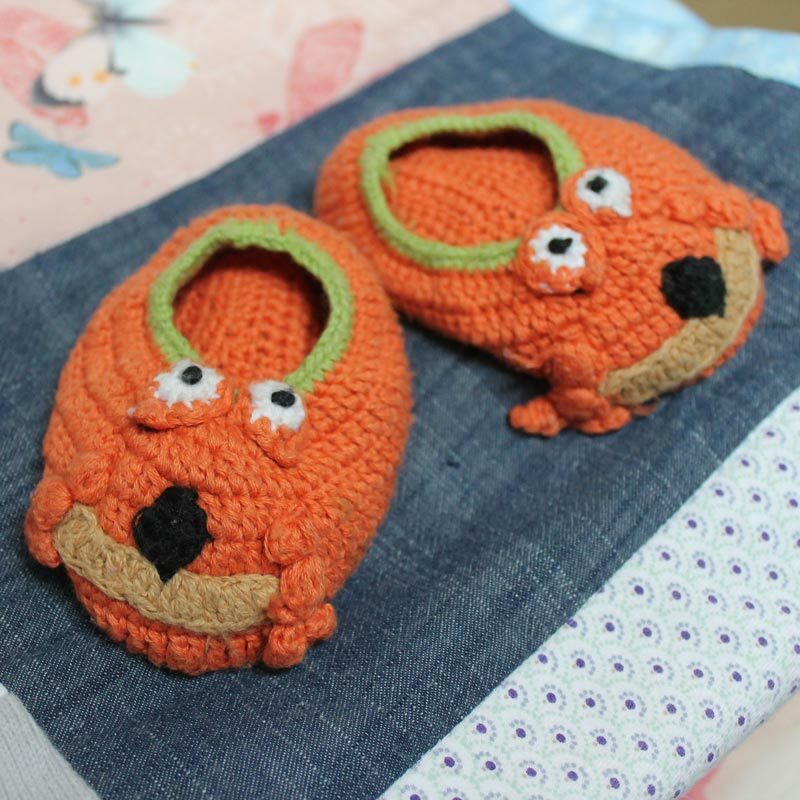 The suggested clothing amounts are the optimum amounts using toddler size clothing – it’s best to include more for tiny baby clothes, and less for older children’s. If you have significantly more or less clothing that you’d like incorporated please just let us know before ordering. 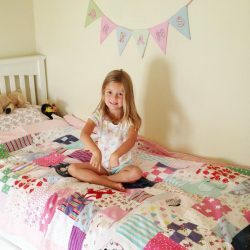 If you’d like your quilt in a different size than listed, please contact us for a quote. Please scroll down the page to see more details. If you have any questions before ordering, please get in touch. You can order via the website, by sending us a message or by phone on 07775 860862 – we’ll need to know the design, size, your backing choice and the name to be appliqued. Postage is include to mainland UK by Royal Mail Special Delivery. If you live outside the UK and would like to order from us please contact us before ordering to see if we can help you. 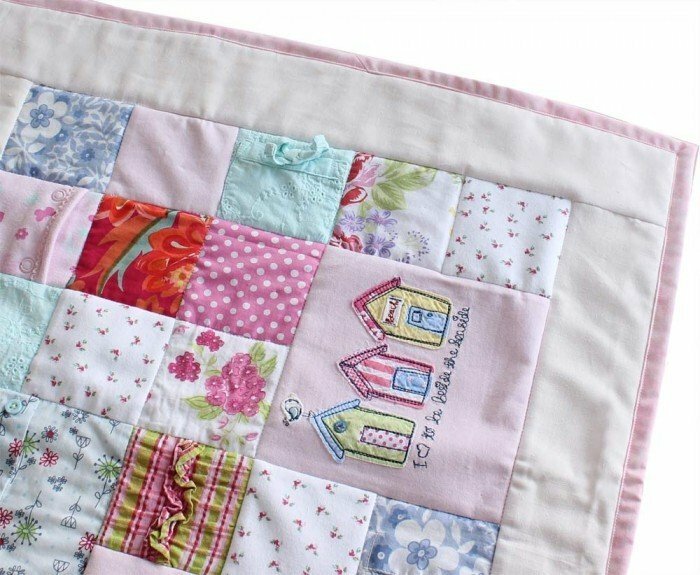 ‘All Squared Up’ keeps the tried and tested patchwork pattern of small squares arranged in a grid, and enhances this classic design with larger squares to keep the cutest motifs, images and other details from your clothes. It’s a great choice if your clothes contain lots of items with smaller scale patterns or in plain colours rather than motifs and larger pictures. 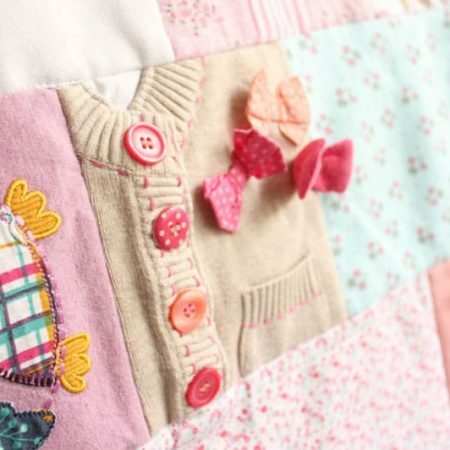 We’ll use the clothes you provide to create a unique patchwork memory quilt, taking care to preserve motifs, appliques, lettering, necklines of clothing, button runs, frills and other details from your clothes. 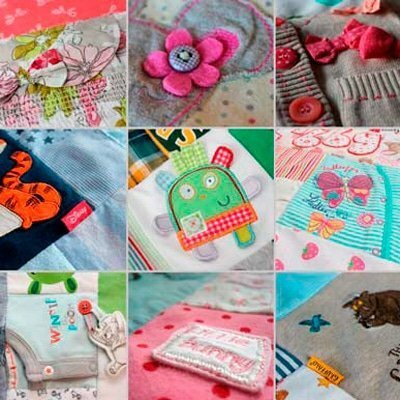 The patchwork pieces are then artfully arranged and skilfully stitched together to form your baby clothes quilt. 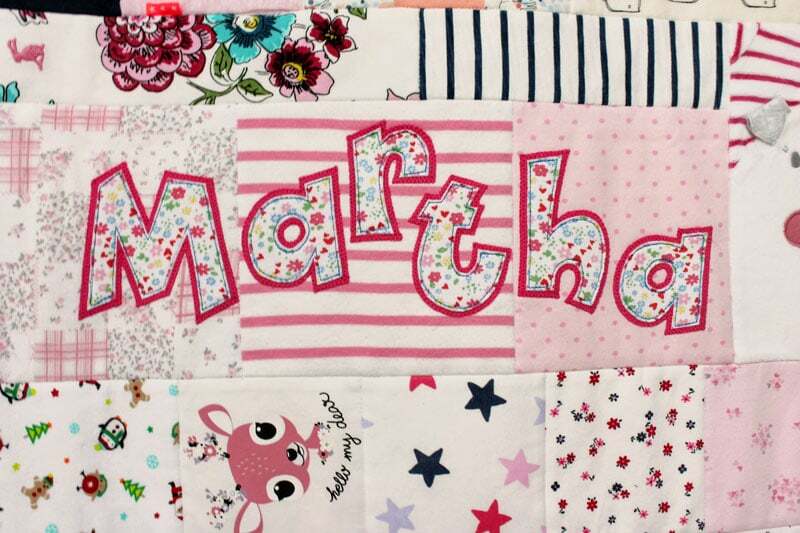 All our Memory Quilts include a name applique on the quilt top. These are hand-cut in two layers from your clothing, and stitched beautifully across the finished patchwork. Additional names can also be added. 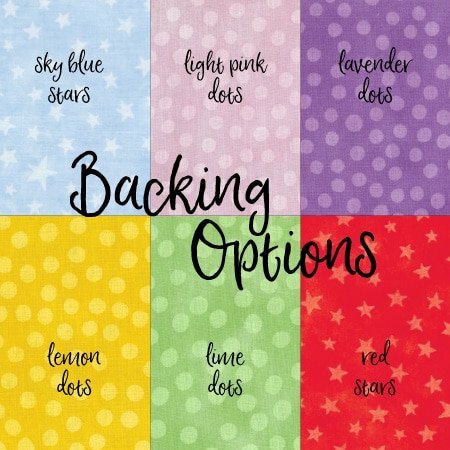 Choose from our gorgeous, high quality fabrics for the backing of your quilt (pic in the images above). The subtle patterns, and colour variations mean that these fabrics work well with all different selections of baby clothes. If you’d prefer a plain colour, or to provide your own backing fabric please just select that option when you order. 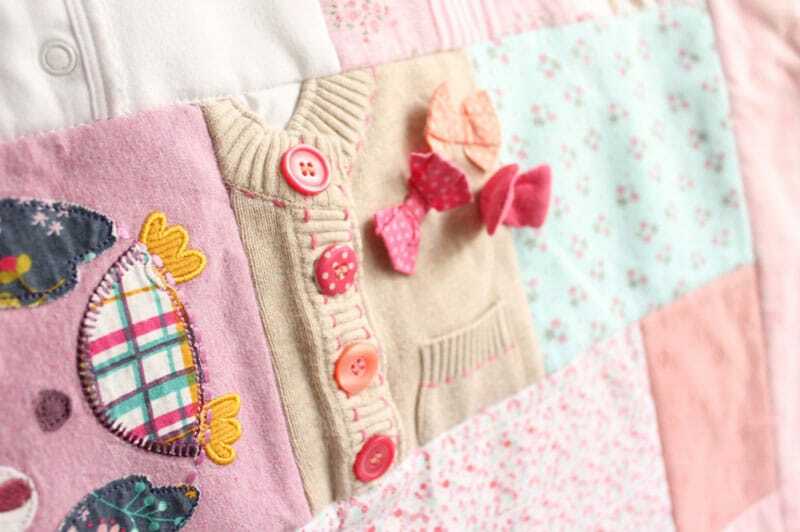 A border is added to your patchwork for all sizes of baby clothes quilt in All Squared Up. We normally use the same fabric as your backing choice. 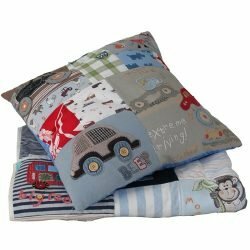 Your patchwork is then layered with soft, snuggly premium cotton wadding (filling). 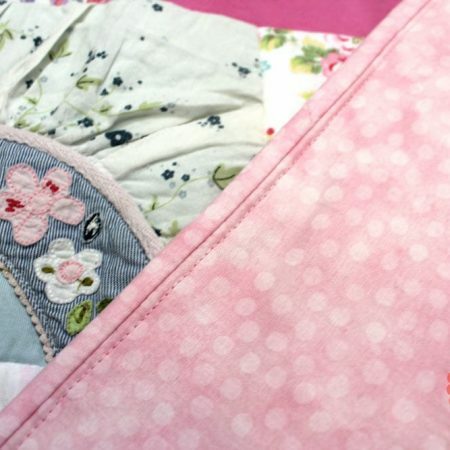 We complete your quilt with expertly applied machine quilting to enhance the patchwork, and hold the layers securely together. 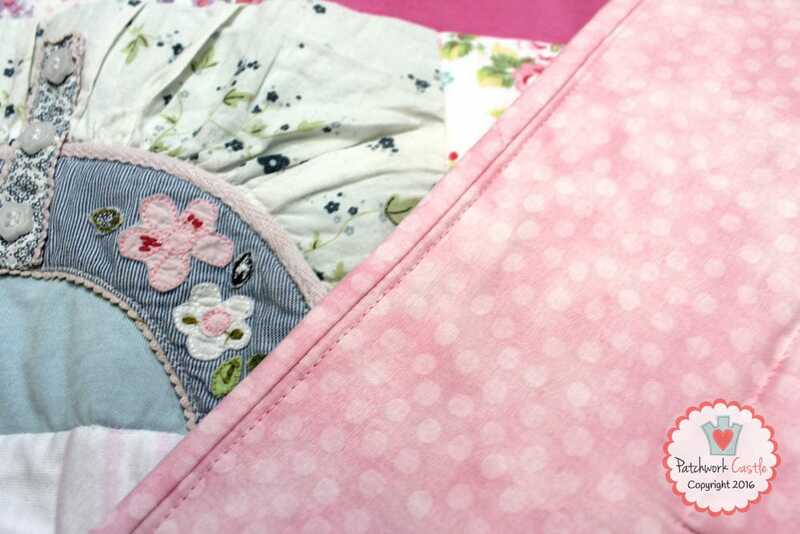 The quilt is then finished with a secure machine stitched binding (edging). 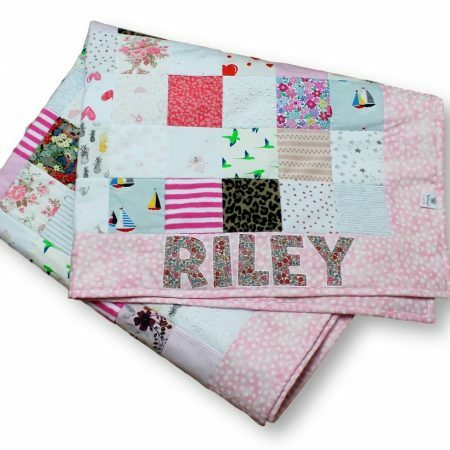 Baby Clothes Quilts are normally machine washable on cool, delicate cycle. Do not tumble dry. The Foundation for the Study of Infant Deaths (FSID) recommend that you do not use a duvet, quilt or pillow for children under one year. For more information please see http://fsid.org.uk. Please also note that these items are not toys and may contain small items such as buttons and other embellishments that may present a choking hazard (we can leave these out if you wish). Our quilts are not designed for use as loose covers on sofas or chairs. Keep away from fires and naked flames. 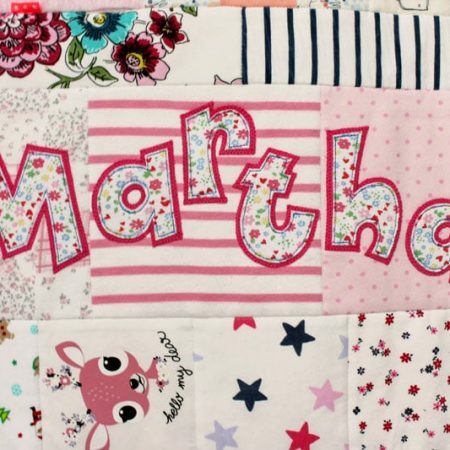 We have created several quilts as lasting memorials for families who have lost a child, so please do get in touch if we can help you in this way.